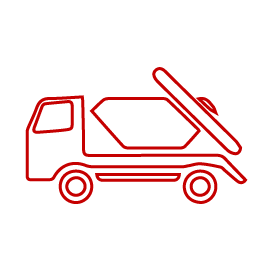 First choice for your skip hire, haulage and waste disposal needs. We've been experts in waste management for more than 95 years, providing Hastings, Bexhill and the surrounding East Sussex area with a range of services from skip hire, road haulage, workshop services to tipping facilities. Whatever you need to shift, French's will have the ideal skip for you. Contact us today to arrange your delivery. Our grab vehicle is ideal when there is no facility to drop or load a skip or if you just have a considerable amount of waste. Whether you need to move aggregates, machinery, pallets or any other types of bulky item, French's Skips can help. Providing customised waste management and recycling service packages tailored to individual requirements. Our team can have your rubbish removed at a time convenient to you, leaving your property tidy and clear of the debris. Celebrating our 95th year in business, how many can say that? We’re the first choice for skips in Hastings, Bexhill and the surrounding areas and that’s down to our family run business being tried and trusted for over 95 years. 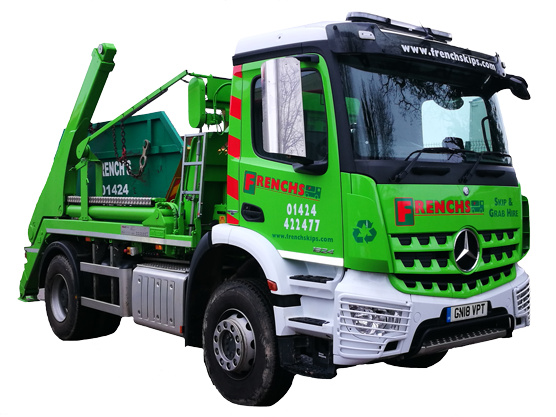 With unrivalled knowledge and experience, it’s not surprising we have the loyalty of businesses who have used French's Skips through three generations. From large construction contracts, medium size projects or domestic work, we’re able to accommodate jobs big & small. For a fast, reliable and dependable service that's true value for money, there's only one number. Recycling centres are a great way of helping you manage your household waste. Whether you are clearing out your garden or re-decorating your house, our facilities allow you to dispose of your waste in a safe and efficient manner where all recyclable resources are managed effectively too. We provide customised waste management and recycling service packages tailored to individual requirements. We help businesses keep track of their waste movements providing data including weights, waste types and recycling percentages. Book your skip hire today with French's Skips.